To find us, when coming from the east, drive down the hill to the end of Maple Street and take a left at the light onto Battery Street (the scuba shop is on the corner). 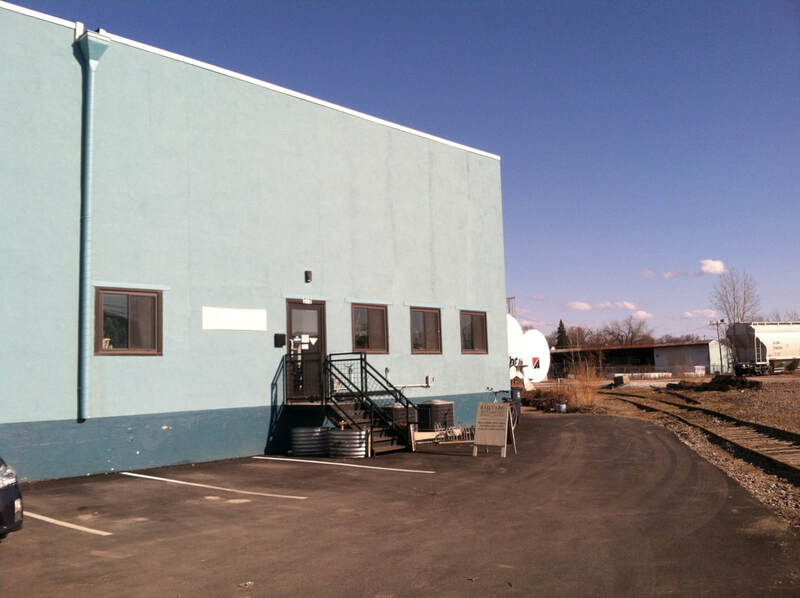 Staying to the left of the railroad tracks, drive into the dirt parking lot, down the line of warehouses to the very end where the building turns blue. We are number 270 (the last door) and there are signs for RAILYARD near our door. Parking is near our door.